Beth emailed me the pattern and I had a couple weeks to make the quilt. I used cream and brown fabric from my stash, but bought the turquoise fabric from Wal-Mart since I was just testing the pattern. Once I finished the top, I emailed her a photo. 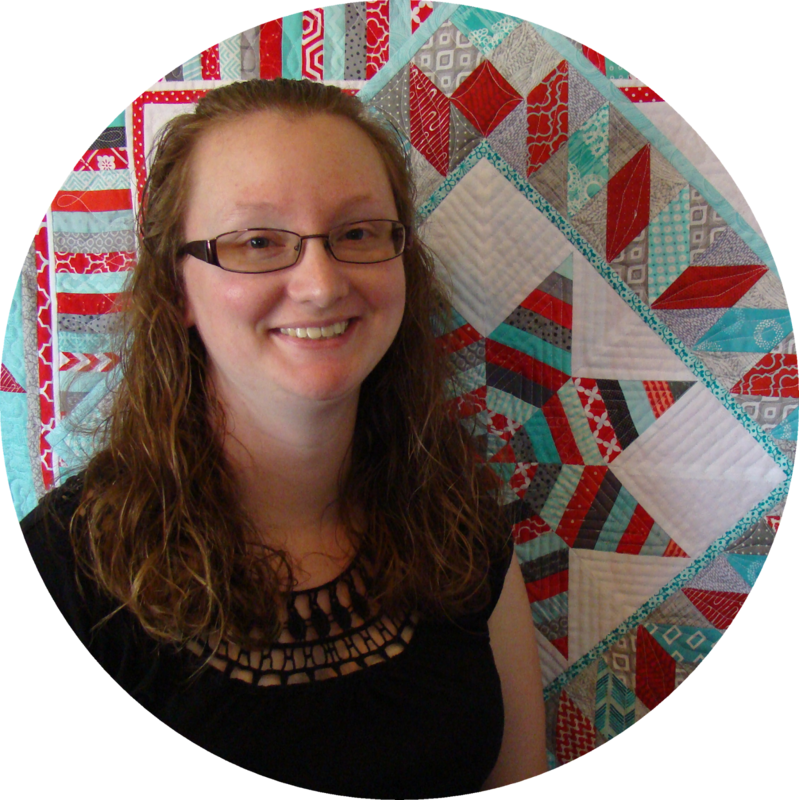 There were several testers, and Beth posted all the quilts of people that tested on Facebook for a vote. 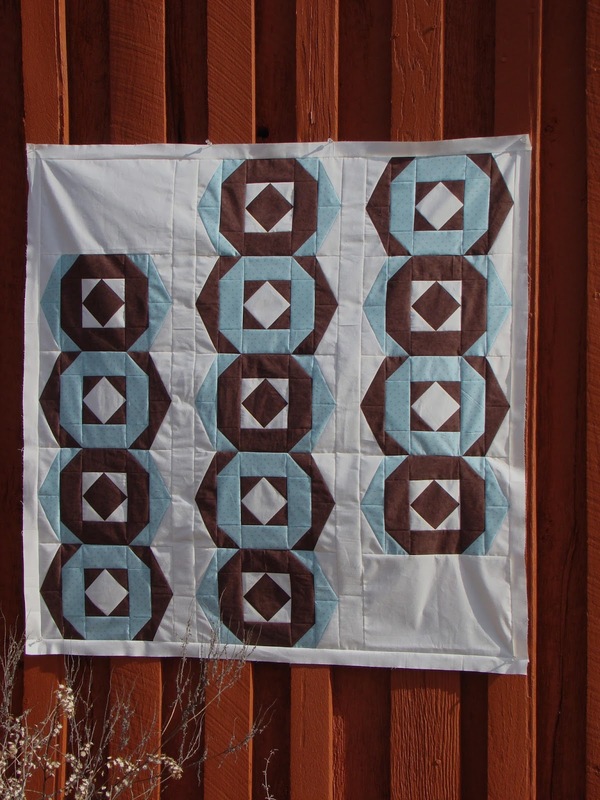 The one with the most votes would be pictured on the back of her quilt pattern. The voting began the day I went into labor to have my second child! While in the hospital, my husband kept checking the votes and updating me on who was in the lead. In the end, I won! 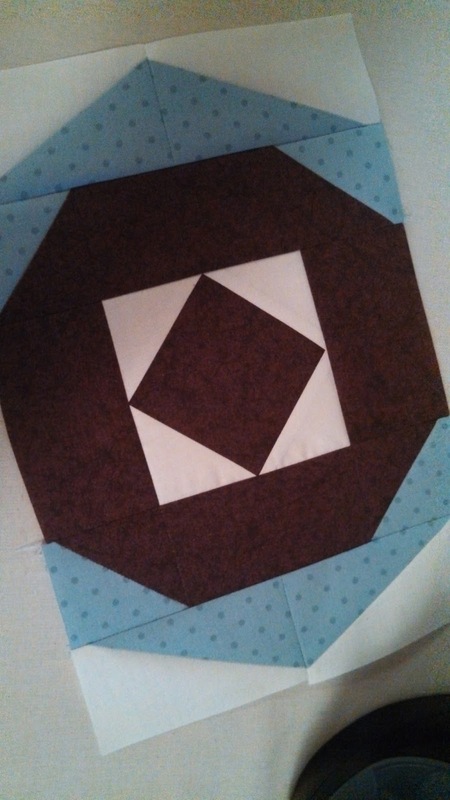 I had two weeks to get it quilted and to send her a photo of the finished quilt. However, I was on bed rest for two weeks and unable to quilt it myself. 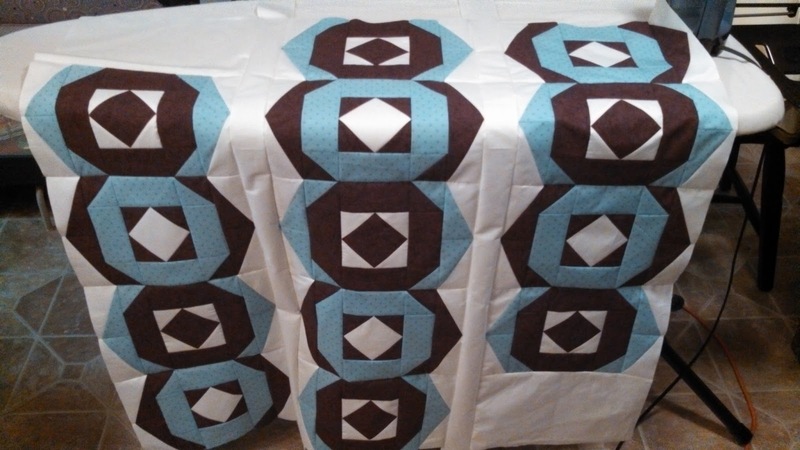 I called Janice Gregory, a local longarmer, to see if she would custom quilt it on that tight deadline and she agreed! My husband took her the quilt top and a drawing I had made of what I had in mind for the quilting. A few days later, he drove me to her house to pick it up. I sewed the binding on even though my husband said it was more work than I was supposed to be exerting (since I was still on bed rest). I hung the quilt back up on our barn and snapped a photo. 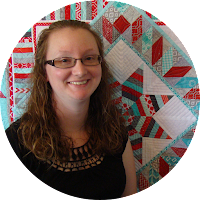 Months later, Beth emailed me to ask what I thought if she would use my quilt on the cover of the pattern instead of hers. She did not like the way her quilt was photographing. A few weeks later, Beth sent me a signed copy of the pattern – with my quilt on the cover! I'm a cover girl! 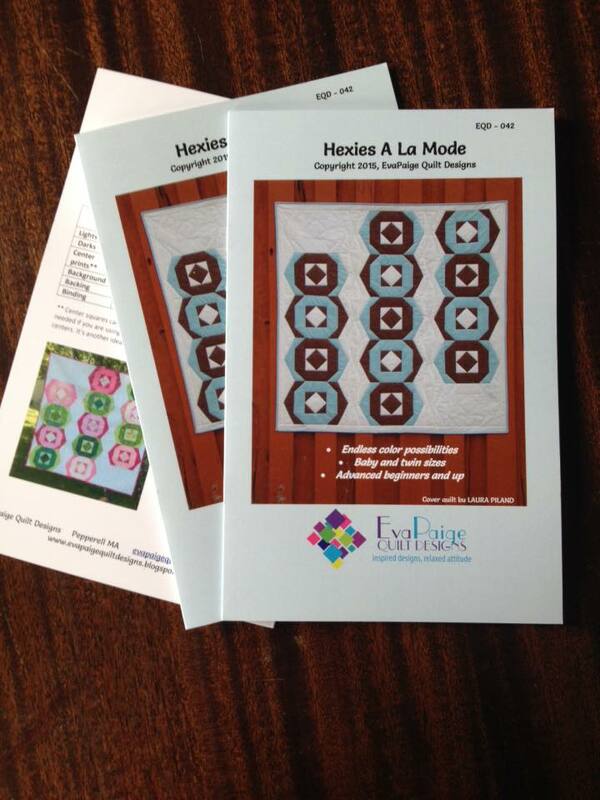 You can purchase Beth's Hexies A La Mode pattern here!